We can’t believe the time has come to say goodbye! There are no words big enough to express the appreciation we feel for the great care and education you have given our kids for the past Eight Years. We’ll miss you ladies very much!!! Thank you Ms. Rhonda, Ms. Ermira, Ms. Brie and everyone else who is helping our little Reed out! )… We appreciate you more than you know, and could not have dreamed up a better group of ladies to be in our lives! And… Ms. Holly and Ms. Diane, thank you for running a great place, and for hiring great ladies! I just wanted to say how thankful we are for the wonderful care that Parker is receiving. As a new mom it was hard to leave him but I feel so much relief having him at your facility because your staff is absolutely wonderful! My daughter has become so close with her friends here and the teachers! She’s always excited to come here every day and have fun. This is like our second home. 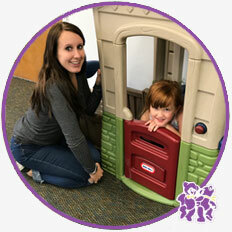 As a parent of Teddy Bear’s Playhouse, I felt welcome right from the start! Being here with these amazing teachers, I know that my daughter is Always loved and cared for! I don’t know what I would do without their amazing help! Come here to see your child TRULY grow! When we first started looking for day cares, we wanted a place that would be safe, FUN, educational, affordable, and close to home. We definitely found all of that and more at Teddy Bear’s Playhouse. My daughters have attended Teddy Bear’s since they were 4 months old (Now 5 and 2). Of course, I was nervous and scared to drop my baby off for the first time, but the teachers and staff made it so much easier, and although still sad, I knew I was leaving them in good hands. We have had several teachers over the years and each one of them has a special place in my children’s lives and has helped them develop and grow into who they are today. My favorite thing about the center is that the teachers truly love each of the kids there and treat them as if they were their own. Not only is the staff amazing, but they have learned so much over the years, I feel my daughter is fully prepared for Kindergarten. They learn something new every day, and I am amazed by what they come home and share with me.. Their extended learning classes (science, yoga, Spanish, etc. )broadened their learning spectrum, and have been great and fun learning experiences for them. Now that my oldest has graduated from the program, she has attended the summer camp and she absolutely loves it… She loves being able to enjoy the summer playing outside with all of her friends, and attending field trips at all of her favorite places. I love everything about this day care, and would highly recommend it for anyone looking for a loving and learning atmosphere for their kids. We made the right choice with Teddy Bear’s Playhouse. Passing the care of your children on to others is overwhelming but the team at TBP makes is easier. Our children are cared for with so much love that morning walks down the hallway involve smiles and hugs from everyone. 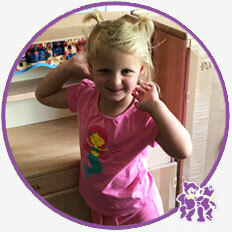 TBP has helped our girls to become confident, healthy, and caring. Our daughter has a food allergy and they keep her safe while never making her feel excluded. All possible issues are resolved quickly and thoroughly. We are going to miss the entire team when our girls move on but we’ll be looking forward to Teddy Bear’s Playhouse summer camp!